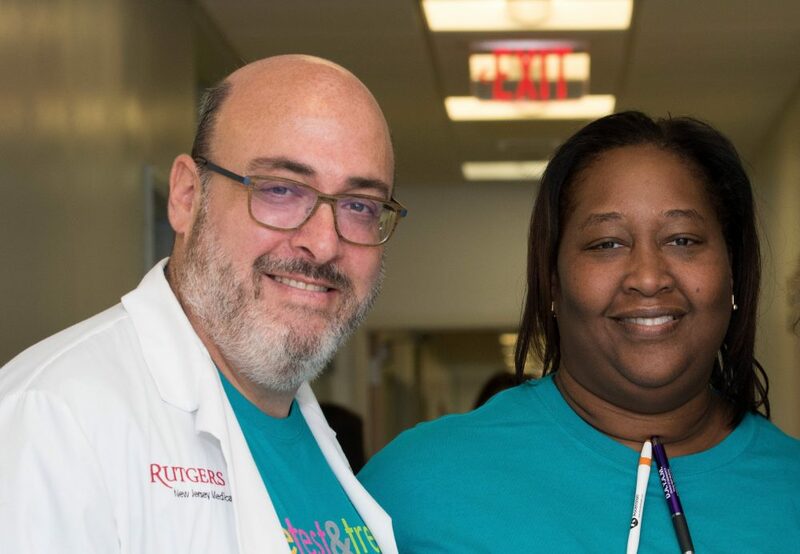 Rutgers-New Jersey Medical School, in partnership with University Hospital, serves as the safety-net health care system for the city of Newark and its surrounding municipalities of East Orange, Irvington, and Orange, all in New Jersey. 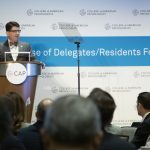 Out of Newark’s population of almost 300,000, 30% of residents are living in poverty and over 25% are uninsured. 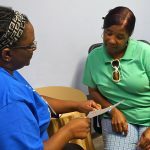 Common barriers to cancer screening and treatment include a lack of medical insurance and fragmented medical care, as well as language, cultural, and social barriers. 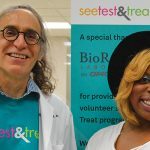 On September 15, 2018, Rutgers hosted its second See, Test & Treat program, which focused on the local African-American, Caribbean-American, and Latino populations. 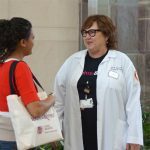 Easily surpassing the screening goal of 50 women, the Rutgers team provided breast and cervical cancer screening and genetic and vision screening to over 70 women and their accompanying family members. 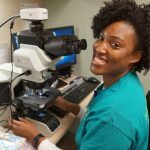 With results indicating a 19% abnormal cervical/Pap test screening rate, CAP Foundation staff took the opportunity to catch up with a Rutgers multidisciplinary team member who specializes in cancers of the female reproductive organs. 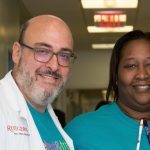 A gynecologic oncologist, Dr. Mark Einstein was on hand at the event. Here’s what he had to say. Q: Why is it so important for women, no matter their status, to be screened for breast and cervical cancer? A: We can pick up these cancers early and treat them with nearly perfect outcomes every time. As providers who see many women present with advanced cervical and breast cancers, we feel the system has failed them. We look forward to the day that we never have to take care of another woman with advanced breast or cervical cancer again. We have the tools now to make that happen. Dr. Mark Einstein, gynecologic oncologist, educates patients about cervical cancer. Q: What difference does the See, Test & Treat program make in the lives of this community’s underserved women? A: Many in underserved communities believe that if it’s not broken, why fix it? One of the primary goals of See, Test & Treat is to make it easy for women to PREVENT cancer. This is different than “sick” care. The objective of prevention is to stop disease BEFORE it happens. See, Test & Treat lowers the access and approachability bar of the medical system, making it easy, and even fun, for women to get screened. It not only educates attendees, it makes them health education ambassadors for their families and neighbors. 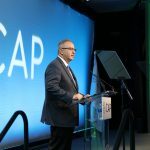 Q: How is the See, Test & Treat program unique from other screening programs? 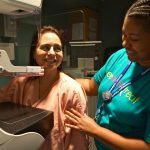 A: See, Test & Treat focuses on cervical and breast cancer prevention and creates a platform for prevention and health education for the community. It helps health care systems become better partners with the community and improves the health of the population. Q: How does this program strengthen the concept of the health care team? A: This program embodies the best of why we all go into health care—our humanism, altruism, and volunteerism. We can take our skills and knowledge in a productive way and provide for the women most in need. We gang together as a team with a patient-centered focus to allow all our best traits to come out for a good cause. 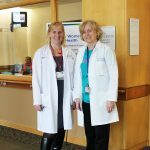 Q: What would you like people to know about the role of an OB-GYN/gynecologic oncologist in health care? A: When women between the ages of 18 and 50 think of their primary health care provider, they think of their OB-GYN. We have the most access to our patients’ health and well-being during a critical development time for many diseases, including breast and cervical cancer. We want to be chaperones of great health for our patients!